The California Energy Commission (CEC) held expects to receive a proposal to study Mohave Ground Squirrel habitat connectivity from researchers by 15 October. The Mohave Ground Squirrel is a threatened species that is found only in the western Mojave Desert, and lives in habitat being fragmented by urbanization, transportation corridors and now energy development. Solar Millennium sought to build the a large solar power installation near the town of Ridgecrest that would have destroyed the Mohave Ground Squirrel's habitat. 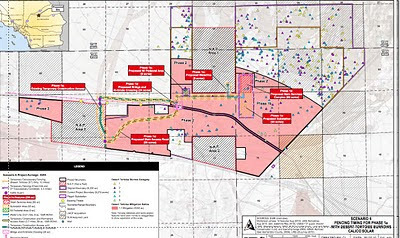 The CEC opposed the project on the grounds that its ecological impact would be too significant, so Solar Millennium is planning to conduct a multi-year study of Mohave Ground Squirrel activity in the area to identify where in the area it could build an industrial operation. The company's researchers will present their study plan by October 15th. Calico Solar Project "Cut in Half"
There is a lot of press on the California Energy Commission's (CEC) preliminary approval of Tessera Solar LLC's Calico Solar power project. The press is portraying Tessera Solar's project as being halved by government authorities or "crazy hippies" who are trying to save the desert tortoise instead of building a larger solar power plant. What most people just now entering the debate do not realize is that Tessera Solar's project is actually proposed for public land, and will receive taxpayer-backed financing in the form of American Reinvestment and Recovery Act funds. The California Energy Commission (CEC) requested that Tessera Solar LLC submit detailed logs on the reliability of its "Suncatcher" solar technology, potentially reflecting doubt about the effectiveness of the company's proposals. According to transcripts of a 20 September CEC hearing, the CEC Staff believed that Tessera Solar should be required to submit reliability data in order to be allowed to proceed with its Imperial Valley Solar project, which is proposed for over 6,000 acres of California Desert habitat. Tessera Solar is the same company that is also proposing to bulldoze another 4,600 acres of the Mojave Desert for the Calico Solar power project. You may have read my post on an educational protest held at the site for the proposed Ivanpah Solar Energy Generating System, which will destroy thousands of acres of old growth desert habitat. Chris Clarke posted a video on his website consisting of interviews of desert experts who provide an overview of the resources and natural heritage that will be lost. If you were unable to visit the site, I highly recommend checking out this well made video. Mojave Desert Land Trust Reaches Goal! Congratulations to the Mojave Desert Land Trust for closing escrow on the Quail Mountain property located adjacent to the Joshua Tree National Park. The Land Trust's efforts will ensure that this valuable wildlife corridor will maintain a healthy ecosystem in Joshua Tree National Park and surrounding desert habitat. The Mojave Desert Land Trust's grassroots efforts and community awareness is a valuable part of citizen efforts to preserve beautiful open space in California's deserts for future generations. You can also read Morongo Bill's write-up on this good news! The California Energy Commission's (CEC) preliminary approval of Tessera Solar's Calico Solar power project would permit the company to build in some of the most sensitive and highest quality desert tortoise habitat available in the area. 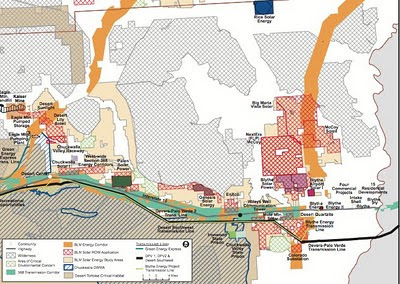 The CEC Commissioners could have chosen a less destructive layout that avoids the highest quality habitat, but instead approved the more destructive layout, known as "Scenario 5.5." 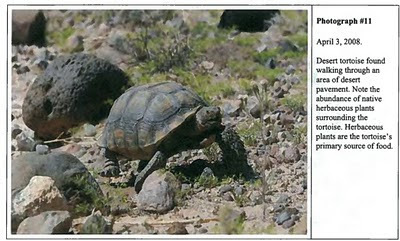 For 60 extra megawatts, the CEC is permitting the potential loss of 18 extra tortoises. The California Energy Commission (CEC) made two decisions this past week that will contribute significantly to the decline of the ecological health of the Mojave Desert. In the first decision, the CEC gave final approval to BrightSource Energy's Ivanpah Solar Energy Generating System. In the second, the CEC issued a proposed decision to approve the Calico Solar power project, subject to a 30 day public comment period. Unless the CEC is persuaded to rethink its position during the comment period, the Calico project will be approved. A group of citizens passionate about the old growth desert habitat that will be destroyed to make way for the Ivanpah Solar Energy Generating System will hold an educational event on the site from 14-16 September. The event will also serve to protest the poor choice of locations by BrightSource Energy, which will bulldoze over 3,000 acres of ancient desert plants and over two dozen desert tortoises for the site later this year. The group will take the opportunity to educate visitors about the rich ecology of the site. I highly encourage those interested in learning more about desert ecology, and the impact of industrial development on public lands to visit the Ivanpah Valley event. You can find more information on this event at Chris Clarke's blog, Coyote Crossing. The site is located just a short drive West of Primm, Nevada, and about 2.5 hours from Victorville off the I-15. My last post highlighted two pieces of legislation currently stuck in Congressional committees that could improve conditions in California's deserts. I previously assessed that the California Desert Protection Act of 2010 (CDPA 2010) was unlikely to see a full vote before the Senate and House before the end of the legislative calendar in November. However, I just read analysis by Politico--a publication that closely follows trends on the Hill--that suggests a Republican turnover in the Senate Energy and Natural Resources Committee could severely limit opportunities to protect western wilderness over the next few years. ...and there are a couple of proposed bills that could benefit desert conservation and promote sensible land management. Two solar companies. Two sites. Two different outcomes. The California Energy Commission (CEC) announced today that the Abengoa Solar power project--which will be located on former agricultural land--will be granted its license to start construction this year. Abengoa Solar is sited on private land that is not nearly as ecologically sensitive as the site chosen by Tessera Solar LLC for its Calico Solar power project. The CEC sent Tessera Solar back to the drawing board earlier this month after it deemed much of the Calico site to contain high quality desert tortoise habitat. In response to the CEC request, Tessera Solar just submitted 6 options for reduced footprints seeking to alleviate the CEC's concerns. The original layout probably would have displaced or killed over 100 desert tortoises. For those following the proposed Calico Solar power project (see previous post), the California Energy Commission scheduled a workshop for 9 September at 10AM. Even though the actual workshop is held in Sacramento, members of the public can tune in by dialing in via telephone or computer. Just follow the instructions on the September 9 notice posted on the CEC's Calico Solar site. The purpose of the workshop will be to discuss potential alternative layouts for the Calico Solar power project site. Depending on the issues discussed at the workshop, a revised layout may be presented to the CEC during the Committee Conference scheduled for 20 September. When I'm not reading the beautiful prose of the California Energy Commission or the determined theatrics of evidentiary hearing transcripts, I try to find time to read books on desert ecology and environmental policy. I've just finished two books that I think are worth reading, especially for people that are passionate about desert conservation and sensible environmental policy. 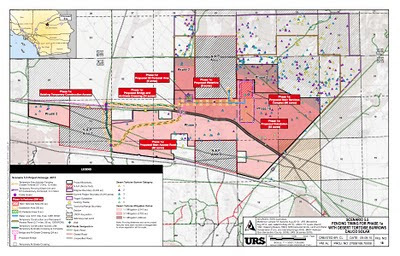 According to a notice posted on the California Energy Commission (CEC) website, the Commission "cannot recommend approval of the Calico Solar Project as proposed" by Tessera Solar LLC because of the "scope and scale" of the environmental damage that the project would do to high quality Mojave Desert habitat. The CEC's decision is an important message to energy companies that hastily choose to build large scale projects on pristine public land, and will hopefully encourage other energy companies to select sites that will not have such high impacts on ecologically sensitive land.